NBC News’s Cal Perry hit the streets of New York City on Thursday to cover the organized anti-Trump protests that have emerged after Donald Trump’s historic victory on Wednesday morning. 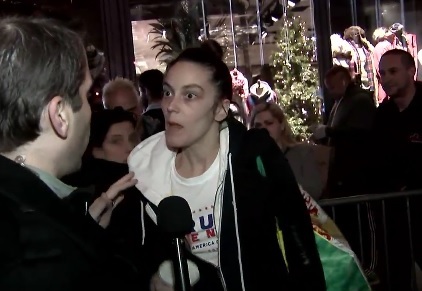 During his interview with a far left protester a female Trump supporter went off on Perry for interviewing anti-Trump cranks and ignoring Trump supporters. Even in New York City the people are getting sick of the liberal media.